Sellers who use Amazon FBA to store and fulfill their items can get a peek at how Amazon moves items through a warehouse to be packed, labeled and put on a semi-trailer truck thanks to the Dallas Morning News. It's likely that a large percentage of the packages shown in the video contain items sold by third-party sellers - Amazon revealed last month that 45% of the units sold in the second quarter were from 3P merchants. 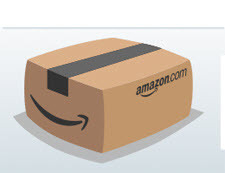 If you use Amazon FBA and were wondering where your packages hang out, take a look! There's also a second video of raw footage - if you sent a Kool Max 40 Quart Wheeled Cooler Bluetooth PA System and Charging Station to DFW6, that may be your item being carried around the warehouse by a robot. Thanks for the link to this eceptinally revealing article about how Amazon treats its fulfillment center employees in the US and Britain. Everyone of good conscience should read it. In some instances, just substitute ebafia for Amazon and ebay sellers for Amazon employees. This is the kind abuses that unbridled, (under)unregulated capitalism leads to. I will not be renewing my Prime membership and will buy elsewhere. Thanks for the very interesting article/video. It really is amazing the technological advances of the past 30 years. Although watching robots is depressing in that they will replace millions of people, who will be left jobless. I'd rather see the post office delivering them instead of losing them. I took a tour of the Amazon distribution warehouse in Jeffersonville, Indiana this summer. It was a very interesting experience. I had read about the difficult Amazon warehouse working conditions in prior years and was curious about that and the actual warehouse operations. The warehouse had a huge footprint, one million square feet — equal to about 25 football fields. It had four stories inside that were open air and seemed to cascade one level down to the next with product working its way down to packing and shipping. The warehouse was well lit, clean, had wide aisles and was air conditioned to a comfortable temperature. The employees looked busy but not overly so and the break areas were nice. Two Amazon employees conducted the tour. A late twenties, well put together, management type who had clearly drunk the company Kool-Aid narrated the tour and took questions. The other employee trailed the group, I assume to make sure no one strayed off the tour. Pictures and interaction with staff were not allowed. He gave lots numbers and stats in a rote manner but was evasive when answering questions about operations. It was an impressive operation with employees constantly looking to improve it, evidenced by some of the changes he said were instituted from employee suggestions. Well worth the time to take a tour if you live near one of the warehouses that offers them.